Brandeis University Press of New England, Hanover and London, 2009. Gaby Brimmer: An Autobiography in Three Voices is a unique collaborative book about the disability rights activist Gaby Brimmer. The volume is authored in three voices told/written by Gaby, her mother, Sari, and her caregiver, Florencia Morales Sánchez. This autobiography was compiled by Elena Poniatowska, who is one of Mexico’s foremost writers today; and was transposed to English by Trudy Balch, writer, editor and Spanish- and Ladino-into-English translator. This book is among pioneering works about disabled people, especially women with disabilities. Disability Studies is today an emerging academic field best defined according to the Society for Disability Studies, which claims that it “examines the policies and practices of all societies to understand the social, rather than the physical or psychological determinants of the experience of disability. Disability Studies has been developed to disentangle impairments from the myths, ideology, and stigma that influence social interaction and social policy. The scholarship challenges the idea that the economic and social statuses and the assigned roles of people with disabilities are the inevitable outcomes of their condition” (Society for Disability Studies 1998). This complex – and sometimes bitterly funny – auto/biography sheds special light on the life and works of Gaby Brimmer (1947-2000). Her pioneering book reflects on the physical and psychological sides of her disability while depicting social issues related to her state. The book, as its title suggests, consists of three parts. 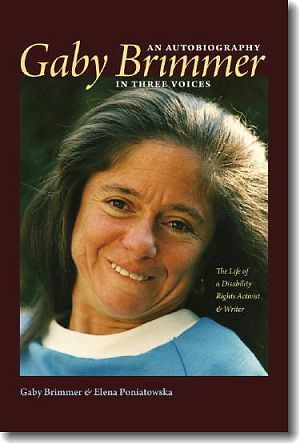 In the Foreword section, Judith E. Neumann and Jorge Pineda, both Disability Rights activists, recall their memories of first meeting Gaby in the late 1980s and remember how that moment made Jorge realize that there was a dire need then in Mexico for an organization that would protect the rights of people with disabilities. 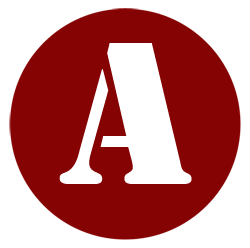 (Soon ADEPAM, that is, Asociación para los Derechos de Personas con Alteraciones Motoras or The Association for the Rights of People with Motor Disabilities came into being in 1989.) Laura Umansky, in her introduction to the English-language edition of the book, also emphasized Gaby Brimmer’s crucial role in the above-mentioned field and remarks that Gaby “touches on virtually every major concern that disability right activists in the United States, Mexico, and around the world would tackle over the next decade” (xxii). Gaby’s reflexive commentaries are often interwoven with poems, written by her, which-along with her other writings, were written with her big left toe by pointing at letters on an alphabet board. Moreover, these poems serve as marvelous and at the same time dramatic insight into Brimmer’s critique of the Mexican society of her time. The lyrical parts are often harsh, rebellious and melancholically painful spiritual manifestos of a disabled woman, whose mind is ready to take action against the inequalities of handicapped people. Her honest sentiments comment on teenage insecurities, family issues, and her brother, David, who moved to Germany. The book provides a cozy and a highly readable story of the Brimmers’ life, from her childhood till the birth of her first child. The structure of the autography is riveting: except for the introductory parts, the narrative is recalled in a fascinating manner. For example, certain moments are remembered incongruously by putting the reader into an imaginary position of the fourth participant of a conversation. The trains of thought of the memoir are cleverly stitched together and logically follow each other. As mentioned earlier, Gaby’s reflections on her life and family are often told from a distant, objective point of view. She summarizes problems not only from her own bringing up such as: the lack of friends, her brother’s behavior towards her or her father’s incapability of exerting control but also her observations on the society she lived in, notes on the 1968’s politics, her falling in love with a rebel; all contribute to an outstanding summary of a life lived in an alternative way. This memoir is more than an authentic document; it is a complex and crafty piece of literature. Not only does it give us the story of Gaby Brimmer, whose exquisite devotion never stopped working towards other disabled people but this attitude was the one that changed totally Gaby’s life. As Avital Bloch writes in the Afterword, after the book was published, Gaby immediately gained a new celebrity status; her house was “invaded” by unknown guests who all wanted to know Gaby. With her exceptional status, Gaby contacted all the intellectuals and politicians, and became the leading figure of the Mexican people with disabilities. A truly exciting reading, Gaby’s autobiography was proposed to be turned into a movie (Golden Globe and Oscar nomination), which came into being in 1987 under the directorial work of a Hungarian-Jewish director Luis Mandoki. In the same time, Gaby’s name has been connected to the foundations of several organizations, such as Asociación de Lisiados de Jalisco (Jalisco Association of Crippled People), the above mentioned ADEPAM, or COMELFIRDEM (Mexican Confederation of People with Physical Limitations Representatives of the Mentally Handicapped). COMELFIRDEM realized Gaby’s merits, her competent work and elected her to the Committee of Women with Disabilities for DPI’s Latin America Region in 1998. Gaby Brimmer died in 2000 but her life continues to inspire people throughout the entire world. So does this book, too.